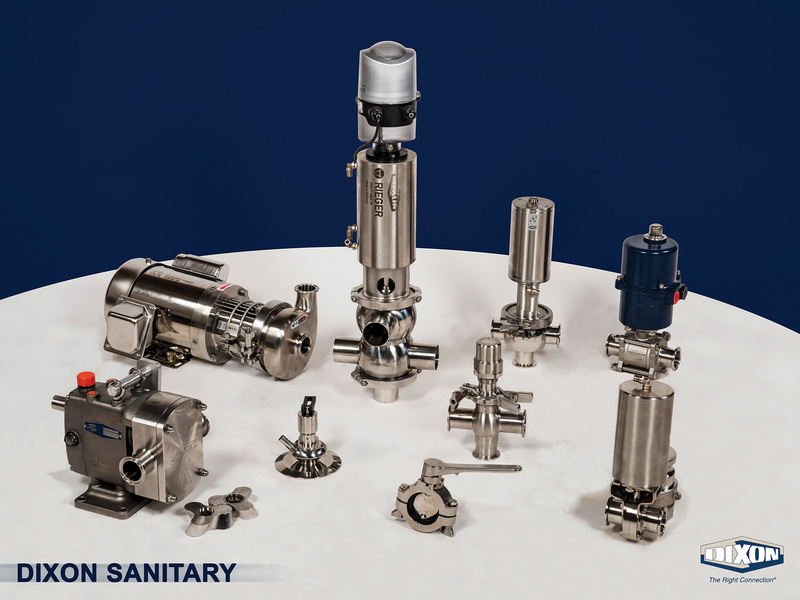 The range includes FDA and 3A approved stainless steel fittings, unions, tube, pumps, hose assemblies and valves. Dixon’s extensive hygienic hose range offering odourless and taste free properties suitable for liquid foodstuffs now includes Heat Traced, Hot Water Thermal and Duplex hose assemblies as part of the standard range along with a range of rubber, silicone, PVC and PTFE hose assemblies which can be custom made to exact requirements with accessories including wash down guns and steam lances. The newest addition to the range is the impact resistant compact sight glass used widely in the food, dairy and beverage hygienic processes to view products and fluids. This design is perfect for hoses and high traffic areas. With an on-site valve actuation shop, 3D design, full technical and sales back-up and BSI approved manufacturing and engineering department, Dixon can design and produce individual bespoke valves, hose assemblies and fabricated configurations to quickly and efficiently solve customer problems. This has included pump carts, bespoke valve configurations and innovative display sight glasses used on beer pumps to infuse product. As part of their portfolio Dixon now offer a hose management programme designed to help make your facilities as safe, efficient and productive as possible. Experienced Dixon hose personnel will perform a survey to register and assess hoses on site and make recommendations. Dixon Hose-Connect is a secure, user friendly web based app. It is a source to allow you to access your Hose Maintenance documentation, including Service History reports, Hose Asset Register via unique tag references and hose identifiers, as well as training videos for your site.